2. 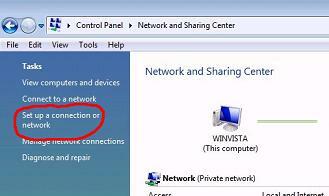 Click on “Network.” This will be on the right hand side of the menu. 3. 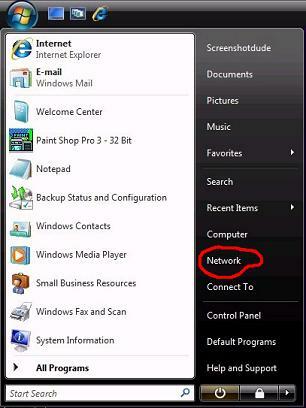 In the “Network” window, there will be a bluish menu bar near the top. 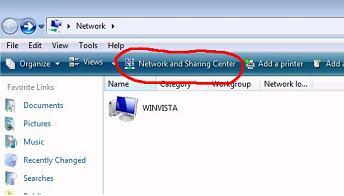 One of the options here is “Network and Sharing Center .” Please click on this item. 5. 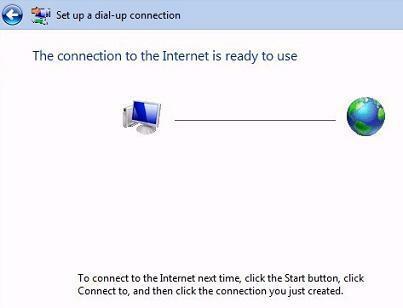 Select Dial-Up from the list and click “Next” at the bottom. 6. Fill out the information as provided by adns.us. In the Phone number field, type your local access number exactly as it needs to be dialed without spaces or dashes. Do not put anything in the area code box. 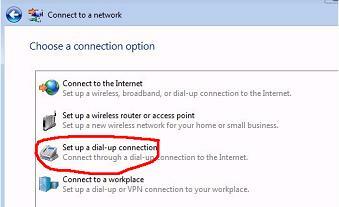 IMPORTANT: adns.us CANNOT REPRESENT OR GUARANTEE THAT ANY DIAL-UP PORT IS LOCAL. 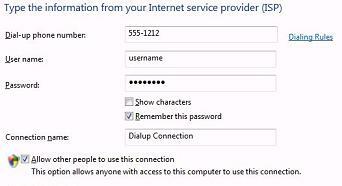 IF ANY DOUBT EXISTS, USER SHOULD CONTACT THEIR TELEPHONE SERVICE PROVIDER DIRECTLY. Type your Username with @adns.us (For example: user@adns.us), and Password in the indicated fields. Remember that these fields are case sensitive. 7. Click “Connect” at the bottom. 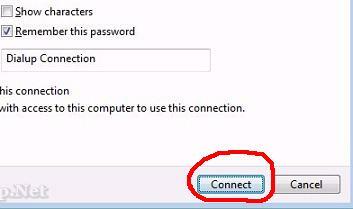 This will test your connection and connect you to adns.us and save your settings. 8. Your connection is now ready to be used!